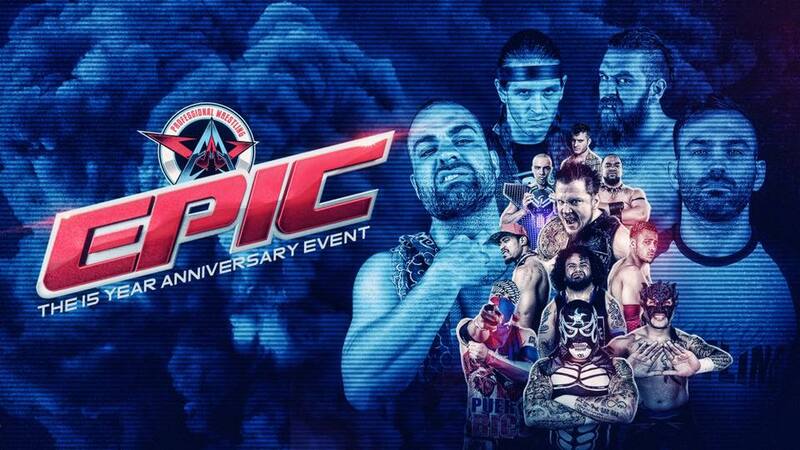 Once again, we were in Chicago for another great show by AAW, this time celebrating the 15th year anniversary from 115 Bourbon Street with AAW’s EPIC. 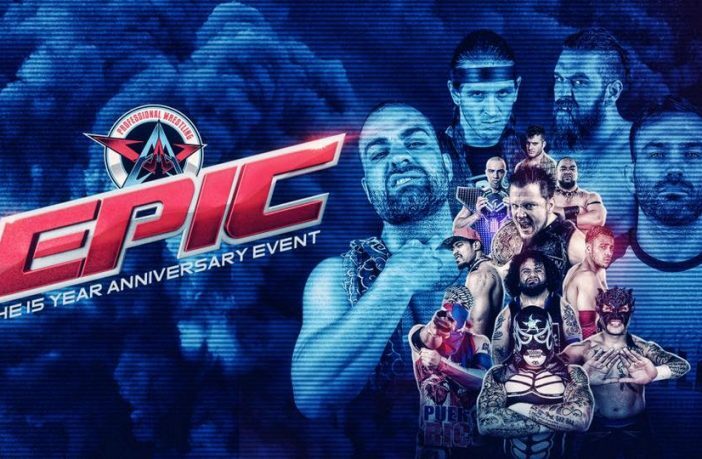 As usual, AAW put on a great show, which is saying a lot considering two wrestlers from two different matches in each of the main event matches were not able to make the show as advertised. Unfortunately, Sami Callihan & Rey Fenix weren’t a part of the show, but AAW made due with some changes, additions, and did their best to send the crowd home happy. Match breaks down quickly, and this was the right call to start the show. Chaos, fun, and dives brings the crowd alive…not to mention, who doesn’t like to sing along to Ace Romero’s entrance? Big thing to come out of this one was the appearance from Mance Warner, who just chased Jimmy Jacobs out of the ring into the back. This led to Ace Romero picking up the victory. Actually great showing from Adam Brooks, who had a hard time with all 4 members of WRSTLING there. They distracted him, beat him down with the ref’s back turned, but he still overcame with great moves. Hard hitting match, that saw Starr win with a power bomb back breaker over his knee. After the match, Brooks got a well deserved Please Come Back chant. Pentagon is backstage saying that his brother Fenix couldn’t be there, but he will be replaced by Chicago’s finest luchador, Gringo Loco. This was….a match. We’ll just leave it at that. This was a hard one for me, wanting to cheer on both teams, but we saw some bad boy coming out of Dezmond Xavier this match. Maybe Zachary Wentz & Trey Miguel are his good conscience? Either way, this was high flying, and just a great overall match. It was nice to see Matt Cross in the ring, and he got a bit pop on this one. Firefox picks up the victory. After the match, Dez attacked Matt Cross. Mance made short work of this guy named Jackson, with the match going all over the place before the match. Mance pretty much kills the guy with a chair, tosses him back in the ring and stick his knee in his face. The official match time is 30 seconds. After match Mance calls out Jimmy Jacobs and Jimmy comes out with a a kendo stick. Mance goes and finds one of his own and Mance takes it to Jimmy. The two fight all over the arena, even to the balcony upstairs. Mance tries to throw Jimmy over, but Jimmy eventually lets himself down. The brawl even makes it to the top of the bar before making it back into the ring. Jimmy cracks Mance over and over on the head with the kendo stick before leaving. Ouch. This match was OK. Gringo Loco clearly got exhausted midway through the match, although he did pull off some high flying moves with the assistance of Pentagon so he could actually hop to the top rope. The crowd was HOT for Pentagon throughout, but LAX picked up the victory over Gringo Loco. This match should have been quicker with a FATU squash, but instead saw the big men brawling in the ring, outside the ring, and just being hard hitting. FATU of course wins the match with his springboard moonsault off the top. Before the match, Sammy gets on the mic like only Sammy can. He says that he’s already beaten Darby before and he’s going to again with a headlock takeover. He reminds us to subscribe to Sammy Guevara on YouTube. We get a fast paced match that saw Spanish Flys, dives, Darby being the hard hitting man that he is, and much more. Darby surprises Sammy with a cloverleaf jackknife style pin to pick up the victory. After the match, Armando Alejandro Estrada came back out with his monster FATU to destroy Darby. RIP. We get a final entrance from DJZ, who has been said to be going to WWE. This was the match of the night, which saw some normal MJF shenanigans, including getting in the ref’s face. The match came to the outside and DJZ dove to MJF into the crowd. Unfortunately for DJZ, MJF picked up the victory with his feet on the ropes to pick up the victory and the championship. After the match, DJZ gave his heartfelt going away speech, saying how Michael Paris may not have been born in Chicago, IL, but DJZ was born in Chicago, made in Chicago…and you can believe that when you watch the network, Chicago will be his hometown. Insane match, brawling, tables, chairs, and just ending up everywhere. The match was nearly not in the ring at all, but instead all over the place. Jake Something was REALLY giving it to Havok, and HUGE credit to her for taking some of the things she did. She’s incredible. Jake Something threw Mat Fitchett off the balcony onto everyone. WOW. Havok Put Eddie Kingston through a table with a spear. Can we also just point out that Davey Vega took the majority of the beating throughout. Damn. Jessika & the Besties pull out the victory.